Our sincere congratulations go to team members Bergsund Delaney Architecture, Sponsors, Inc. and HACSA. 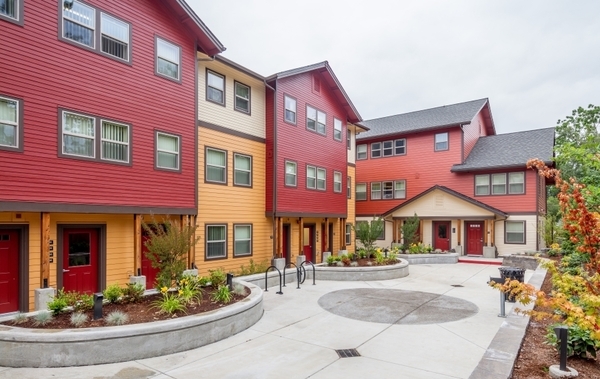 Our team recently won the AIA's People's Choice Award for Multi-Family Housing, for this unique project. The neighborhood incorporates wooden gazebos, benches and other features crafted from trees harvested on site.